This wrap tunic was worn by royals during pre-independence era and is back in vogue here in India. 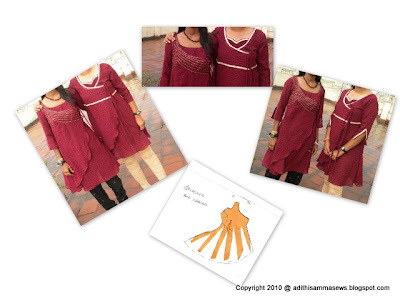 This tutorial will help you not just to draft the pattern also has a sewing tutorial alongside to help you make your own version from the scratch. Try it. I know nothing seems more attractive than a Pattern-less Pattern ! 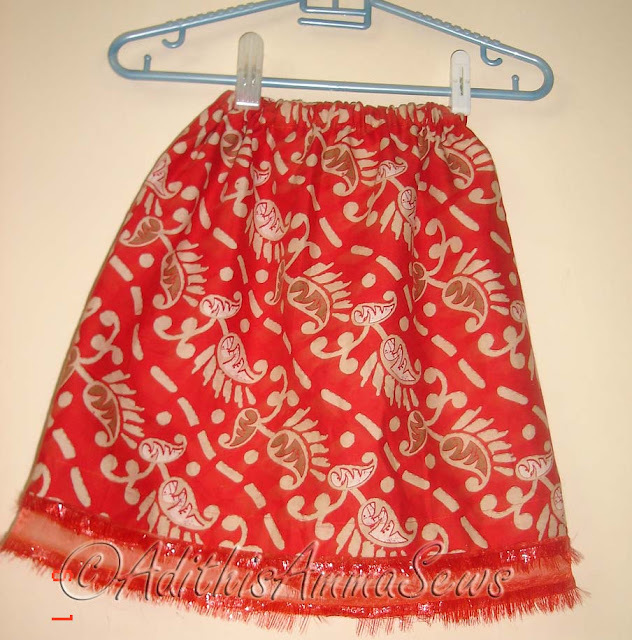 here is a simple tutorial to make an elasticized waist skirt with NO PATTERN. Hurry stitch yours in a jiffy! 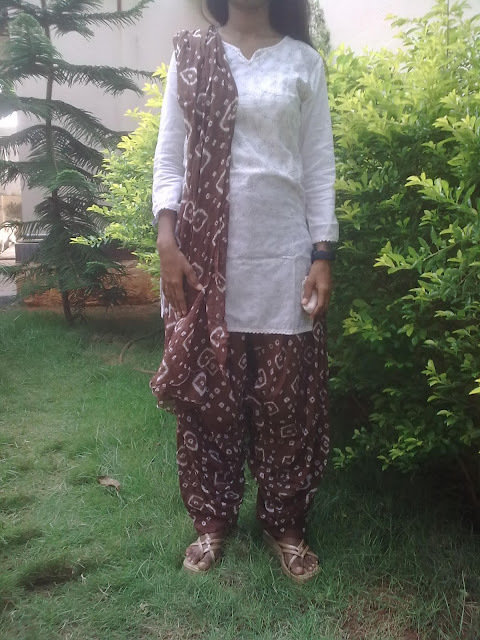 Dhoti salwar gets its name by the way it drapes, just like a dhoti, a traditional garment worn by 'men' during previous decades, now it is not such common sight to see men wearing dhotis, except for special occassions, the Dhoti salwar for women and kids are quite popular ! Though all the pleats look complicated, once you get over the pattern, it is quite simple to make.Check out the tutorial to know more. A Patiala salwar (also called a pattian walee salwar) is a type of female trousers which has its roots in Patiala City in the Northern region of Punjab. Though it originated there its popularity spread all over India. Only few seasons back it was the hot trend in all metros. Apart from my style statement, the reason for its popularity is the 'Comfort' factor. It is just so comfy to wear and get on with your chores (business/personal). 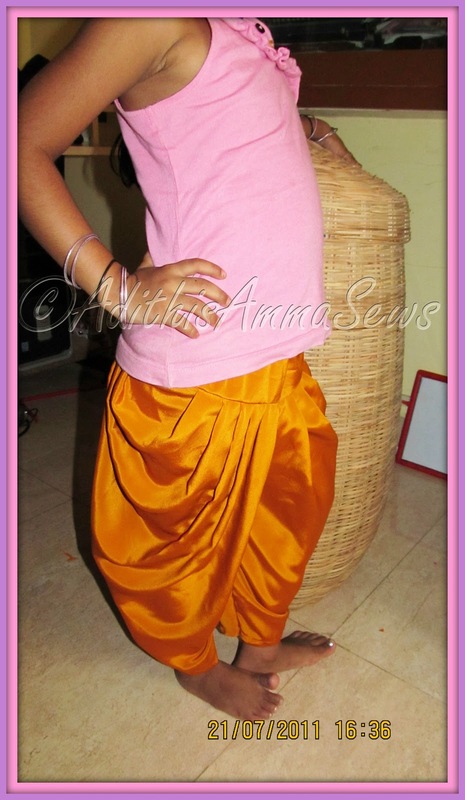 This tutorial helps in drafting and cutting part of the Patiala Salwar.